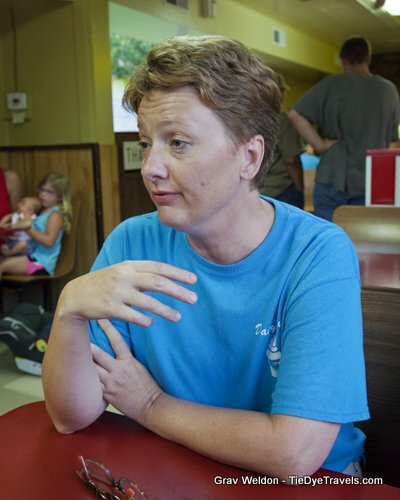 Daisy Queen in Marshall: 51 Years and Counting. 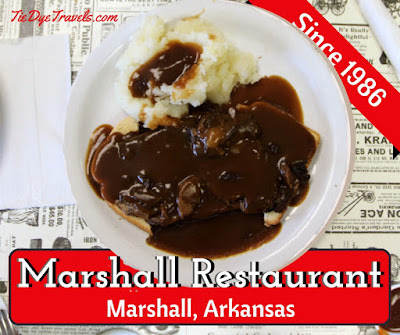 Marshall is home to a couple of grand Arkansas classics - both of which turned 50 in 2016. 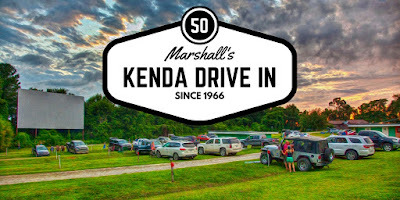 Before you head out to a show at the Kenda Drive-In, or wander out to the Buffalo National River, stop in at the Daisy Queen and sit a spell. Patsy Mays already had another restaurant, but while they owned the building, they didn’t own the land, and they wanted something that would last, so they bought the dairy bar that year, the year after their son Jeff was born. The Daisy Queen has certainly lasted. Expanded far beyond its original diminutive presence along the road, the popular dining spot now boasts two dining areas, a game room, restrooms and a patio. In 2003, the Mays’ son Jeff and his wife Robin purchased the restaurant and continued the tradition. Today Robin Mays manages the iconic eatery. The Mays’ two daughters also work seasonally in the restaurant. I sat down with Robin Mays this past summer while working on a piece for Arkansas Living. It was busy but she didn't mind coming over and sliding into a booth with Grav, Hunter and I for a few words. 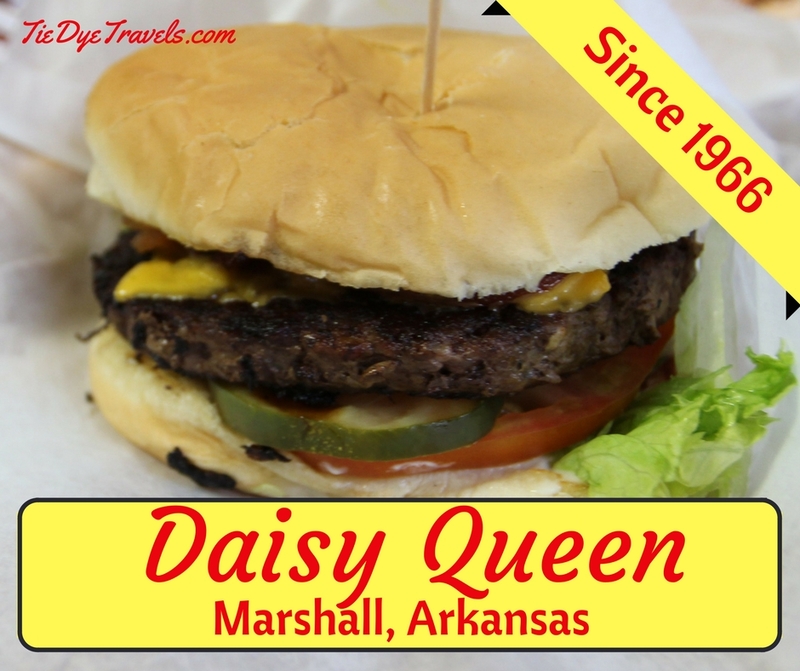 She started out by telling us how the Daisy Queen has gone from being a Searcy County local favorite to a must-stop for US 65 travelers. As the restaurant has grown, so has the menu. And that means anything. For instance, on that particular trip I ordered the Chicken Hot Rise - a grilled chicken breast caramelized directly on the griddle, served on a long roll with tomato, lettuce and mayo. The biggest seller, though, is the cheeseburger. Daisy Queen only uses fresh Angus beef, which is patted each morning and is never frozen. The classic cheeseburger is the favorite, though other versions such as Jeff’s Big Mouth Burger and a triple cheeseburger are also popular. 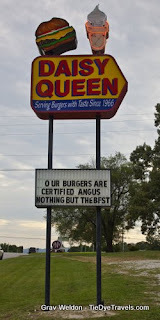 I've even featured the restaurant's standard cheeseburger in a previous Burger Joint of the Week article. The must-have, though, is ice cream, and the soft serve comes in the form of cones, cups, shakes, sundaes and banana splits. There’s a chocolate-vanilla swirl, flavor-burst swirls and traditional vanilla, too. And then there are fried pies - which I was surprised to find were hand-made on-site. 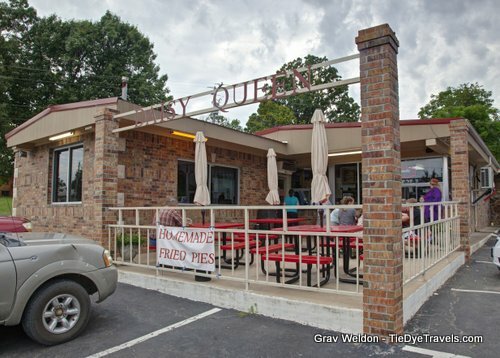 Somehow, in my pie research, I had failed to include one of Searcy County's best kept secrets. Guess it's time to remedy that. If you happen to find yourself along US Highway 65 heading to or fro, consider a stop-in at the Daisy Queen. Chances are you will find something you truly enjoy amidst the plethora of menu boards, whiteboards and posterboards adorning the inside wall. It's open 8 a.m.-9 p.m. on weekdays and 8 a.m. to 10 p.m. on weekends. 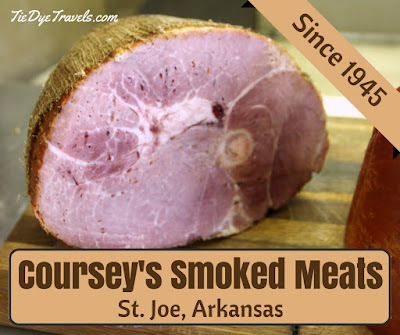 For call-ahead orders, dial (870) 448-2180. And be sure to check out the Facebook page. Note: This is the kid's burger meal, parents. Love this place I grew up in Marshall and just had to take my husband there a couple of months ago when we were down for a visit. Hope it never leaves !!!! Really love the way you presenting this. Mountain Valley Water - A Brief History.